Here are the pictures I took of Turner Falls. This is the highest spot in Oklahoma. It is very beautiful but there were lots of visitors. The weather was hot and had been over 100-103 degree. 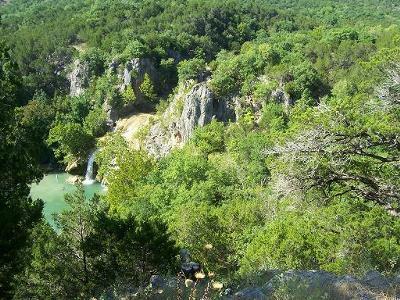 continue North on I-35 and take Exit #47 for Turner Falls Park. 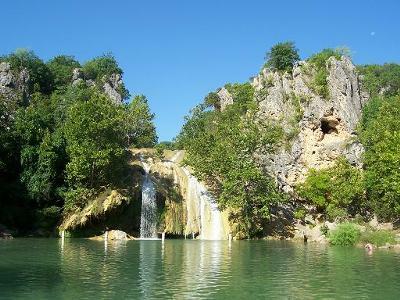 continue South on I-35 and take Exit #51 for Turner Falls Park.